In 1961 the British Government converted half of the tunnels into a top secret facility, designated: Regional Seat of Goverment 9 (R.S.G. 9). 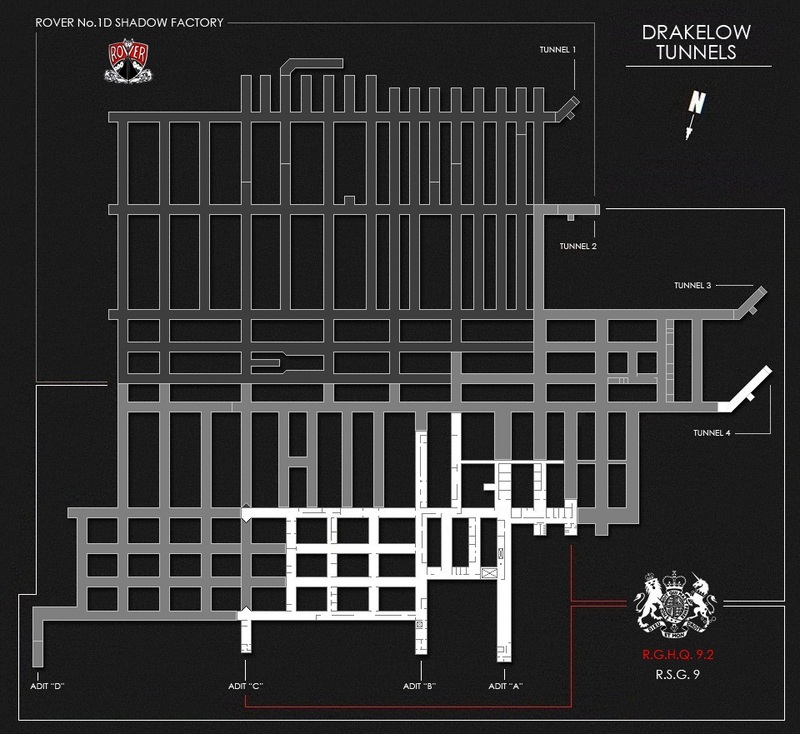 Drakelow, along with 12 other facilities scattered across the U.K. formed a national network of highly classified Nuclear Bunkers, that the British Goverment would operate the country from, in the event of Nuclear War. In 1980, Drakelow was re-designated: Regional Government Headquarters 9.2 (R.G.H.Q. 9.2). The tunnels were also upgraded and Blast Doors and Air Locks installed to bring the complex upto full Nuclear Bunker status. Through out the 1980's Drakelow operated under complete secracy until the end of the Cold War in 1990. In 1993, the Ministry of Defence deemed the facility surplus to requirements, and the entire complex was decommissioned and sold. Since 1993, the Drakelow Tunnels Preservation Trust, have been restoring the entire complex to its original condition to become the largest Cold War Museum in the UK. It also the largest underground space in the UK open to the general public. Open days and private tours are conducted of the WWII Rover Shadow Factory tunnels, 1960's RSG and 1980's RGHQ Nuclear Bunker through out the year. The complex is also available for filming, training and private functions. Please see the Filming & Training page and Visit Us page for more details. 0.6 Mile In Length - 3.5 Miles Of Tunnels - 284,931 Square Feet - Largest Underground Space In The U.K. Open To The Public!